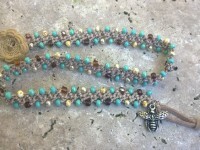 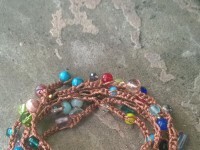 A delightful mix of colors and shapes of glass beads all crocheted onto copper brown-colored nylon thread. 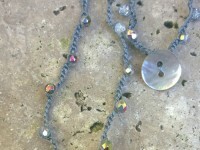 Measures 44" long, with a decorative silver cross with heart charm at the center of the necklace. 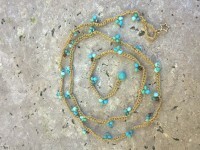 This versatile necklace can be worn super long or wrap around neck 2 times for a layered choker/short necklace look. 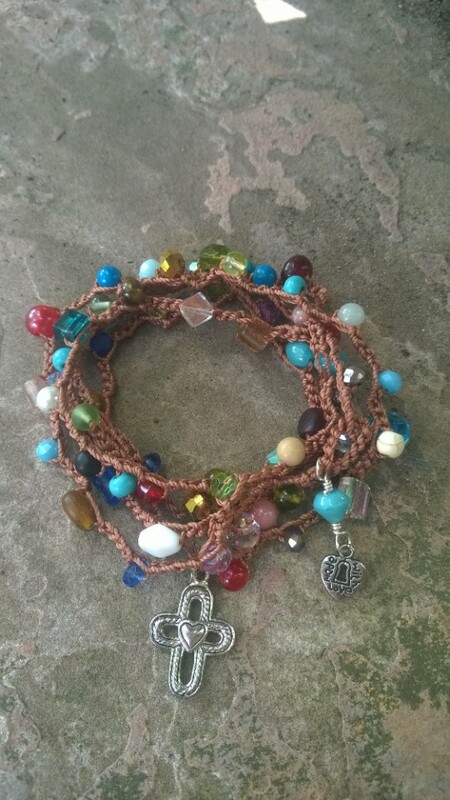 A large faceted 10mm x 12mm aqua-colored bead with loop acts as a clasp with a small silver heart charm that reads "made with love". 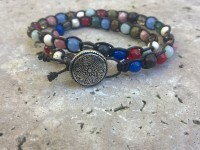 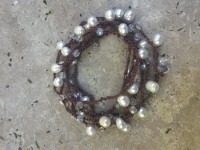 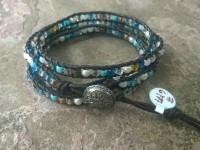 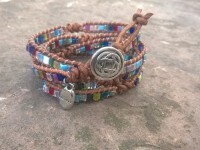 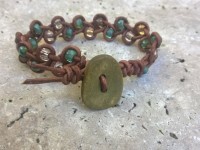 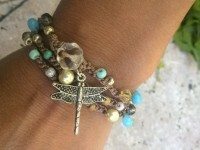 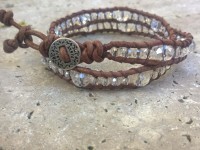 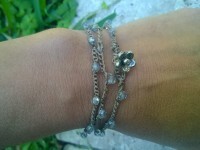 This piece can also be worn as a bracelet wrapped around wrist 6 times.